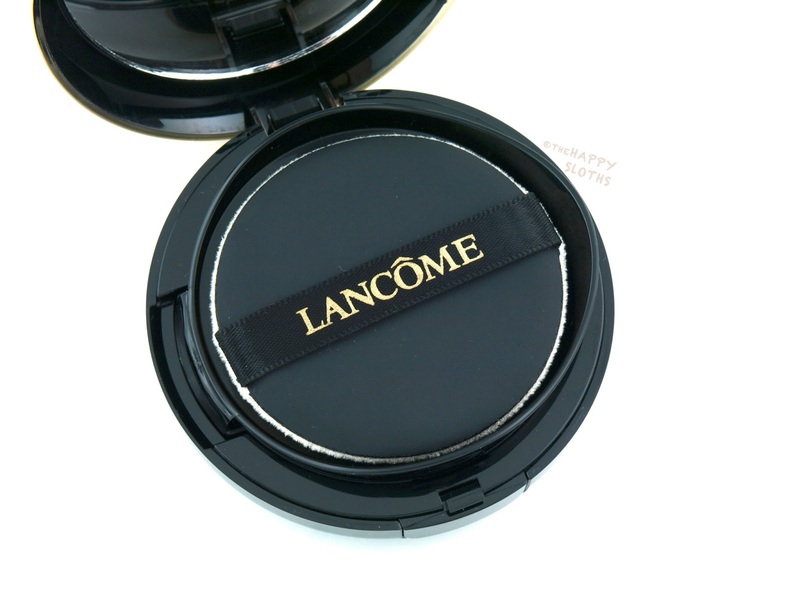 Lancome Teint Idole Ultra Cushion in "140 Ivoire"
The Lancome Teint Idole Ultra Cushion is a liquid foundation packaged in an absorbent cushion. 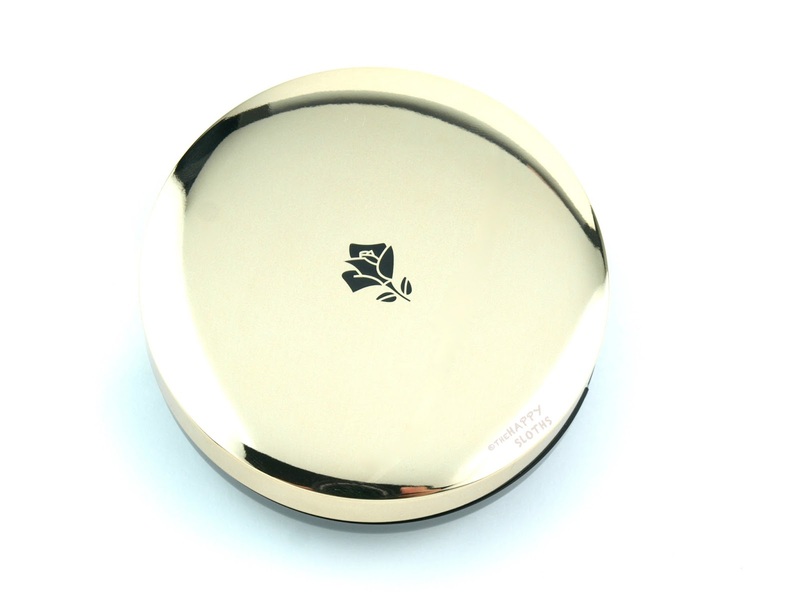 With a stunning gold and black finish, the compact has two compartments-an upper layer that holds a special sponge applicator and a lower compartment that holds the actual foundation-soaked cushion. The compact and the foundation cartridge come separately, with the cartridge sealed in its own bag to keep it 100% fresh. The sponge applicator is not your average cushion foundation sponge, instead of a fine porous texture, the applicator has a velvety, almost flocked finish that really helps blend and buff out the product. Interestingly, the cushion used to hold the foundation is also quite unique. Unlike your average sponge cushion, the Teint Idole Ultra cushion is made of a special fiber network topped with a fine, almost mesh-like filter sheet. I presume these features help control how much product is dispensed when you press into the cushion with the applicator. 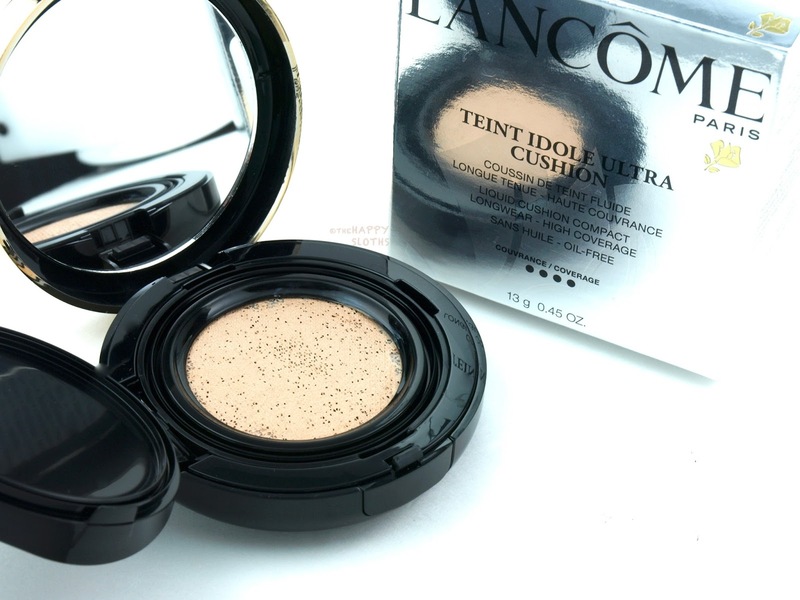 Promising a full-coverage, the Lancome Teint Idole Ultra Cushion is very pigmented indeed. 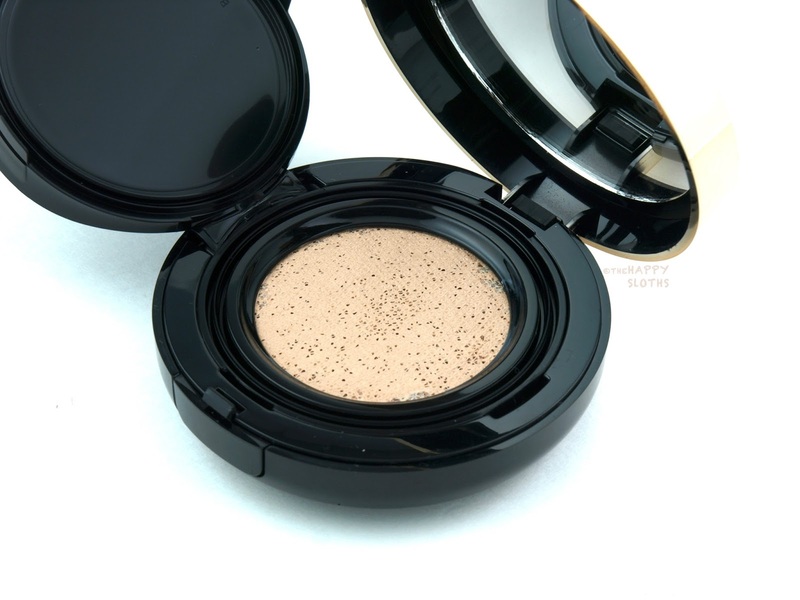 However, despite being ultra-pigmented, the formulation is quite lightweight with a matte finish. 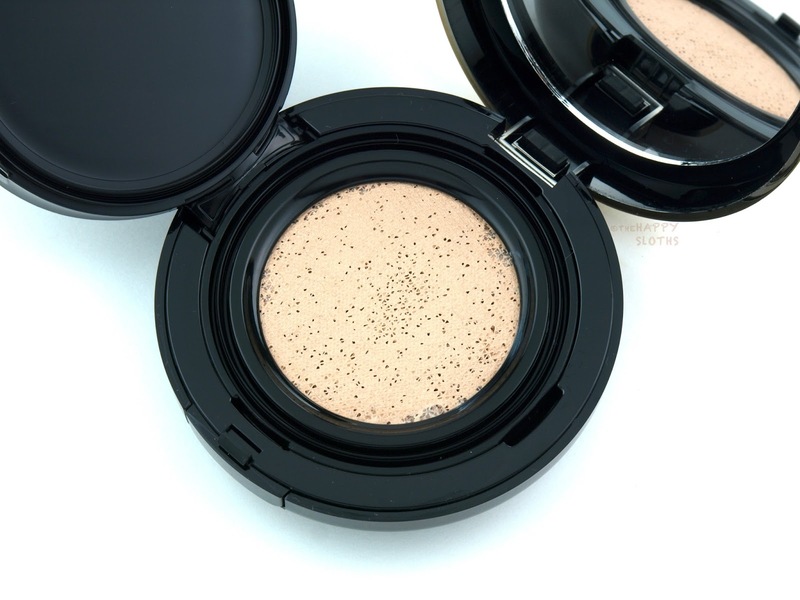 I have fairly blemished skin but with the Teint Idole Ultra Cushion, I can get a completely flawless coverage without the need for additional concealing. 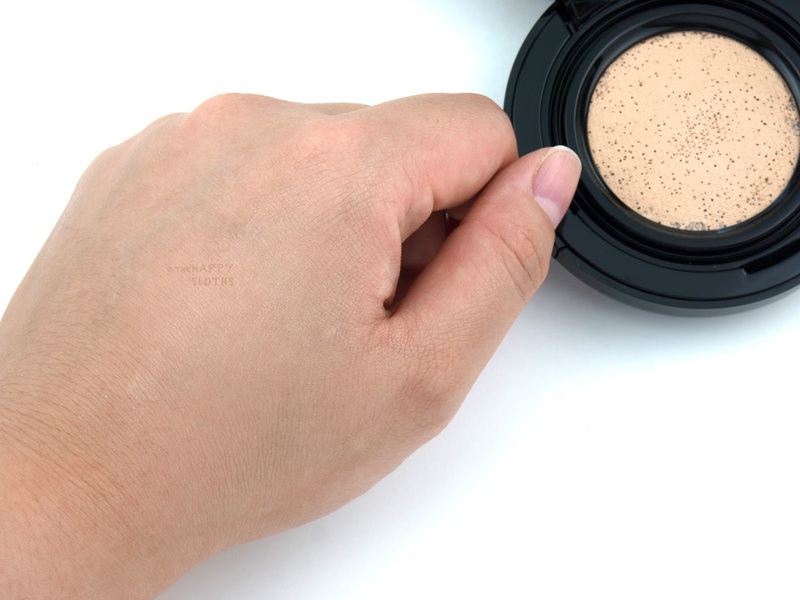 The applicator makes application very convenient as it does a great job at blending and buffing out the product. With that said, I do find it slightly unsanitary (as I do with all cushion foundation applicators) because it's simply too troublesome to wash it thoroughly after each use. I have here the shade "140 Ivoire"; it is a light ivory with a slightly yellow undertone. It is sort of an equivalent of MAC's NC20. I apologize for not getting a better swatch of the color; I blended it out way too much so it's a bit hard to see the true color. Additionally, the formulation has an SPF of 50, something I really can't be more pleased about. In terms of wear, the formulation does fairly well on my oily skin. There are very minimal creasing and fading but it doesn't do a lot to control shine. Additionally, I find the formulation to be slightly unforgiving when it comes dry patches and wrinkles. I tried this on my mom, who has normal skin with some deep forehead wrinkles. The foundation doesn't provide enough cushioning so the wrinkles are slightly highlighted. All in all, though, I think this is a very good foundation. I am mostly impressed with how opaque it is without being cakey or drying. Also, the high SPF is a huge plus! Lancome is available online and in stores at Sephora, Lancome, The Bay, Nordstrom, and Holt Renfrew.